Born on December 20, 1989, in the Philippines, Deacon Rufino is the fourth of eight children of Rufino and Rita Madridejos. He was raised and attended primary and secondary studies in the town of Paracale, in the province of Camarines Norte, Philippines. He entered the Adorno Fathers in Vinzons, Philippines in 2008. He completed his college degree in Bachelor of Arts in Classical Philosophy minor in Religious Education at Holy Trinity College Seminary in 2012. He made his simple profession in 2013 and was sent that year to the United States to join the community in Ramsey, NJ. 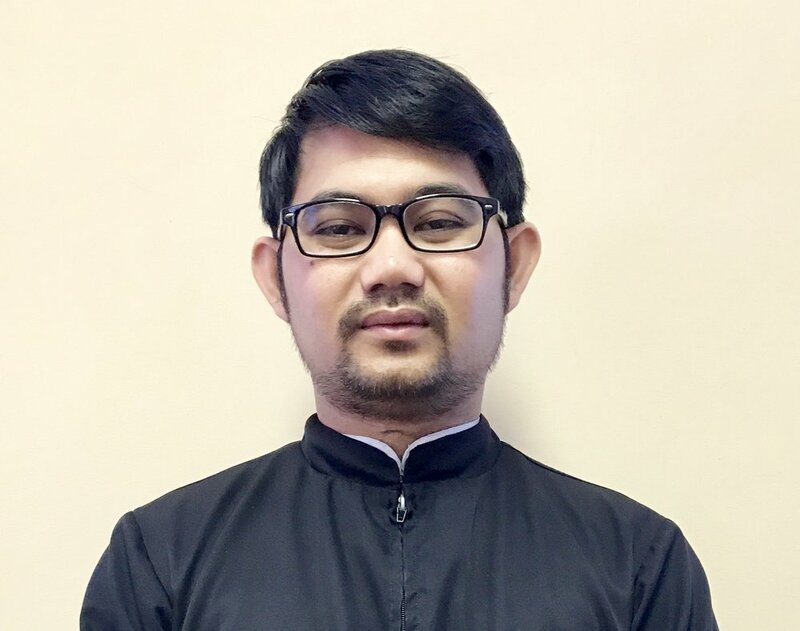 He completed his Masters in Divinity, major in Pastoral Theology in May 2017 in Immaculate Conception Seminary School of Theology in Seton Hall University. Deacon Rufino professed his solemn religious vows of poverty, obedience, chastity, and not seeking ecclesiastical dignities inside and outside of the Order on June 7, 2017. On December 12, 2017, he was ordained to the Sacred Order of Deacon in St. Anne and St. Jude parish, Sumter, SC. He is currently serving the parish while teaching religion at St. Francis Xavier Catholic School in Sumter.